The other day I saw this comic and texted it my husband. 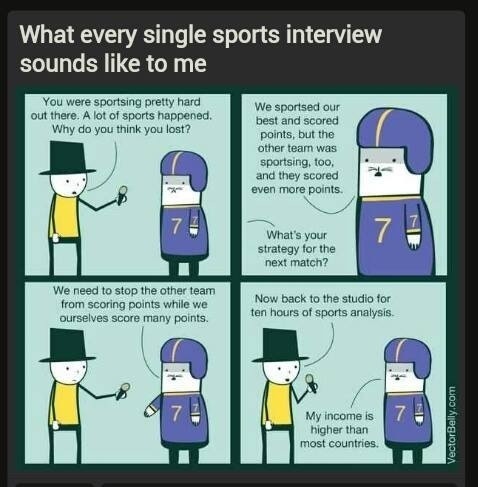 It perfectly describes what I hear when anyone talks sports. He later joked that it is similar to what he hears when I talk horses. Frequently he said he hears, “Simon horsed it up today, he was such a horse. Poe was a total horse today when he was horsing. They are such horses”. I really had to smile at this; it is so true!